JACKSON, Mich. - June 21, 2018 - PRLog -- Trail managers and advocates from 8 counties and numerous communities along the proposed Great Lake-to-Lake Trails Route #1 stretching from South Haven to Port Huron gathered in Jackson yesterday to discuss a plan to jointly manage what will be the state's first destination trail. The Summit was held at Jackson's Blackman Township Hall and was hosted by officials from the Region 2 Planning Commission, Jackson Convention and Visitors' Bureau, Consumers Energy, and Allegiance Health. Attendees enjoyed a bike tour of the gorgeous Falling Waters Trail hosted by Jackson County Parks prior to the meeting. Michigan Trails Director Bob Wilson called the summit a resounding success. 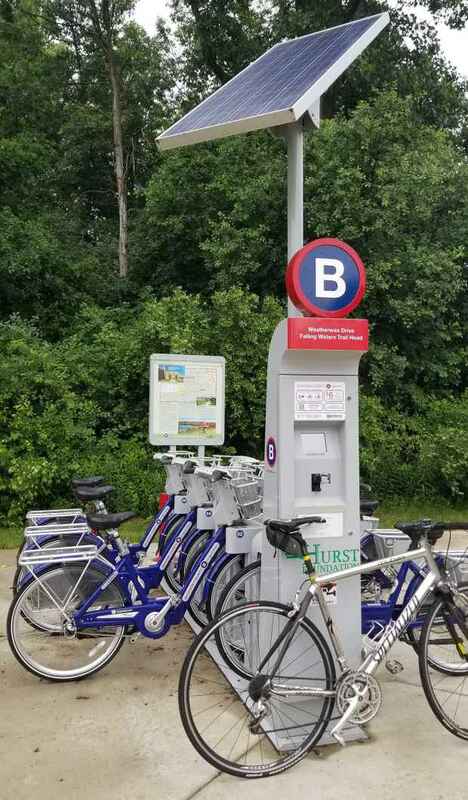 "We continue to learn about the incredible support statewide for our collective vision of connecting the Great Lakes in a series of multiple use trails," exclaimed Wilson. "Today was no different as over 40 attendees shared their image of a trail that will span 315 miles and connect communities from Lake Michigan to Lake Huron." Jackson Convention and Visitors' Bureau Director Mindy Bradish-Orta shares in that vision. "Jackson County is excited to be part of this transformational project that will increase quality of life for all Michigan residents and attract tourists to help grow our economy," said Bradish-Orta. "This trail not only has linked incredible visionaries like Mike Levine of Pinckney, recently honored by the DNR for his multi-million dollar support of trails, who has made it a personal passion to see the trail done by next year, but has linked communities and corporate supporters into a formula that will spell success for all involved," said Wilson. A third summit is planned for mid-September to coincide with the states' annual celebration of trails during Michigan Trails Week from September 23-30th, Wilson added.